I’m a botanist and plant ecologist with a keen interest in the processes that shape vegetation patterns in alpine areas. Right now, I’m interested in how snow influences plant community patterns, processes and community (re)assembly. Snow is one of the most influential environmental factors in alpine areas. Snowpack depth, snow accumulation patterns, snow duration and the timing of snowmelt all interact to affect many levels of plant community organisation and functioning. For example, snowmelt acts as a phenological cue and as an insulating blanket over winter protecting plants from low temperatures and strong winds. Some plant communities exist only where snow lasts well into summer, others can cope with earlier snowmelt, exposure to frosts and strong winds. An understanding of how snow influences plant distribution, community structure and ecosystem functioning will give us clues as to how alpine vegetation will fare in future decades with climate change and declines in snow. My work in this area is embedded in my current ARC DECRA project, and I have been monitoring shrub encroachment in alpine ecosystems for many years. Alpine shrubs can act as hydrological mediators by trapping snow in their canopies, and as ecosystem modifiers through positive feedback loops with snow, leaf litter and soil nutrient cycling. This research will tease apart the interacting effects of snow accumulation patterns, regeneration processes and adaptive responses of shrubs to climate change, to determine how shrubs modify alpine upper-catchment ecosystem processes. I supervised an Honours student (J. Tate, La Trobe University, 2017) who contributed directly to this project. I hope to recruit a PhD student to this project through Deakin University co-supervised by Adam Miller to work on plastic and adaptive potential of alpine shrubs. I will also be linking vegetation patterns with snow accumulation and local catchment hydrology. Additional collaborators: A. Nicotra (ANU), A. Hoffman (U Melb), C. Warren (U Sydney), P. Grogan (Queens U, Canada), I. Myers-Smith (U Edinburgh, UK), H. Thomas (U Edinburgh, UK). The presence of snow and associated meltwater in Australian alpine areas determines vegetation patterns at landscape scales, and the functioning of plant communities at small scales. I have made fundamental discoveries in how snow drives phenology, growth, turnover and community function using field observations and by investigating plant functional traits. I worked with EmeritusProfessor Sir Alan Mark, Otago University, Dunedin, New Zealand on a long-term experimental snowpatch study, bringing my experience with using plant functional traits. The CSIRO predictions for snow cover in the Australian Alps are a real concern for the functioning of snow-dependent plant communities. Recently, I joined with other alpine scientists to propose a formal listing for alpine snowpatch communities on the IUCN red list ecosystems risk assessment. In addition, I advised the NSW Scientific Committee, established under the Threatened Species Conservation Act 1995, on the status of Windswept Feldmark in the Australian Alps Bioregion as a Critically Endangered Ecological Community. This year, my expertise in snowpatch vegetation was also called upon to assess the Snowpatch Feldmark community under the same legislation. Future work in this area includes working towards a coordinated approach for snow sampling, data-sharing and importantly vegetation monitoring in these restricted habitats. Collaborators include: J. Morgan (La Trobe U), C. Pickering (Griffith U), R. Williams (CDU, Uni Melb), A. Mark (Otago U). Upward shifts in alpine treelines are expected worldwide as the low temperature physiological limits of trees shift due to climate warming. However, non-climate related factors often have a stronger control on treeline recruitment. My work in this area includes maintenance of an empirical dataset comprising several studies of treeline recruitment (in preparation), and I lead the Australian branch of the Global Treeline Expansion Experiment (G-TREE).I have also published a mechanism by which the Australian treeline might advance in coming decades. Over 2017/2018 I will supervise an Honours student working on alpine treelines and recruitment after successive fires (A. Naccella, La Trobe University). Future work on treelines includes testing ecological boundary theories in the field, linking field and laboratory germination studies and understanding the ecosystem impacts of a stable treeline with a changing climate. Collaborators: K. Green (NSW NPWS), J. Morgan (La Trobe U), C. Nitschke (U Melb), C. Brown (Colorado State University). Alpine vegetation is responding to changes in climate worldwide. I work with the Australian branch of the Global Research Initiative in Alpine Environments (GLORIA) project, which relies on a standard protocol for monitoring alpine vegetation on summits worldwide. I have also worked on GLORIA summits inYosemite National Park (California) and in the Swiss Alps. 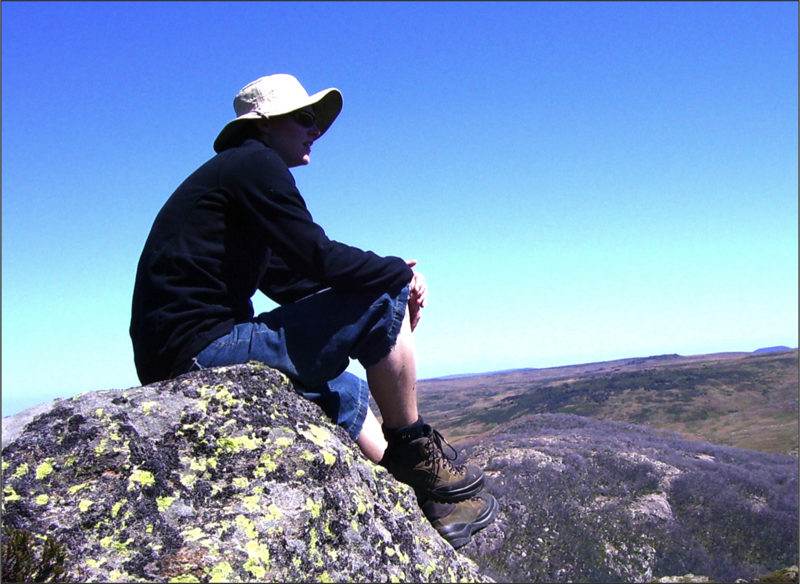 In addition, I co-lead the Long Term alpine summit monitoring program of the Terrestrial Ecosystems Research Network (LTERN), which has 15+ alpine summits in Victoria under regular investigation. Data of this nature is especially important for understanding the pace of vegetation change, and for identifying which species are driving the changes in community composition, with respect to climate and fire disturbances. Future work in this area includes linking global plant functional trait data collected at GLORIA summits for understanding patterns of functional change worldwide, and using GLORIA vegetation and temperature data as a reference against future changes in alpine vegetation. Collaborators: S. Wipf (SLF Switzerland), H. Pauli (U Vienna, Austria), A. Letten (Standford U, USA), C. Pickering (Griffith U), K. Green (NSW NPWS), J. Morgan (La Trobe U). under a variety of abiotic and biotic constraints. In my PhD, I discovered how successful alpine seedling regeneration is, despite the assumption that alpine plants rely on clonal reproduction. I also demonstrated the effect of the stress-gradient hypothesis in relation to seedling regeneration and the facilitative biotic interactions between seedlings and other plants at high altitudes that contribute to their success. My work in this area is aligned with my current DECRA project, whereby I am investigating the regeneration strategies of alpine shrubs. Future work in this area includes using a bi-directional temperature gradient plate to understand the ‘germination-niche’ of alpine species, linking laboratory germination results with field studies, and understanding the drivers of plasticity in germination and seedling survival. Collaborators: J. Morgan (La Trobe U), A. Nicotra (ANU), G. Hoyle (ANU). Mentoring PhD student A. Satyani (ANU). Heated water baths for testing the thermal tolerance of alpine plants. A warming climate in the alpine zone will leave many plants ‘high and dry’ as well as ‘out in the cold’. Without a predictable and deep snowcover, plants will be exposed to the frequent frosts in spring during an early thaw, and will be subject to higher temperatures as well as extreme soil moisture deficits in mid-late summer. Fortunately, most alpine plants are able to withstand temperatures below -5 °C, and often below -10 °C. New research with collaborators at the University of Technology, Sydney has revealed that some herbaceous species can also withstand temperatures above 46 °C. Future work in this area also includes understanding the responses of alpine plants to combinations of the likely future stressors drought, frost and heat. Collaborators: J. Lord (Otago U, New Zealand), J. Morgan (La Trobe U), A. Leigh (UTS), A. Nicotra (ANU). Mentoring PhD students A. Cook (UTS), A. Satyani (ANU). Snow fence experiment: In 2011, John Morgan and I spent several days on the Old Man Range, Otago, New Zealand, at the snow fence site with our local colleagues Alan Mark, Kath Dickinson and Annika Korsten from the Alpine Ecosystem Research Group. The snowfence represents a long-term manipulative experiment in which snow accumulates and now lies well into the summer months behind the fence. Not surprisingly, it’s much calmer behind the fence too. We’re interested in determining whether the change in species composition behind the fence is ultimately because of plants’ functional/morphological traits. Can we use the reverse of the species responses in this situation to predict responses to diminishing snow in the future? Global Observation Research Initiative in Alpine Environments (GLORIA): With colleagues Catherine Pickering and Ken Green, I’ve worked the GLORIA data into something publishable. The GLORIA summits in Kosciuszko National Park are sampled roughly 5 – 6 years with the intention of maintaining a vegetation database with empirical data to show the effects of climate change on species richness and vegetation composition. After one re-survey (2011) we’re seeing an overall increase in species richness at the summits. The patterns are mostly being driven by increases in shrub and graminoid cover, life forms which tend to have specific functional strategies. Papers from this research have been published in Biodiversity and Conservation and AoB PLANTS. I completed a BSc(Environmental) in 1999 (Monash University) and a BSc(Honours) in 2001 (La Trobe University). I graduated with a PhD in 2008 from La Trobe University (Melbourne), supervised by John Morgan. In preparing my PhD thesis “Plant recruitment across alpine summits in south-eastern Australia“, I studied seed germination, seedling dynamics in the field, competition and facilitation processes in the field, turnover dynamics and how the soil seed bank interacts with the standing vegetation on summit sites. What a blast! Lots of driving all around the Victorian high country, working and camping in beautiful places and studying amazing things. Towards the end of 2008 through to the end of 2010, I was appointed as the Alpine Project Officer for the New South Wales National Parks and Wildlife Service in the Snowy Mountains, working alongside Ken Green. This was a great opportunity to hone my telemark skiing skills as well as conduct some really exciting research on alpine treelines, snowgum germination and recruitment dynamics, frost tolerance of shrub species and alpine phenology. 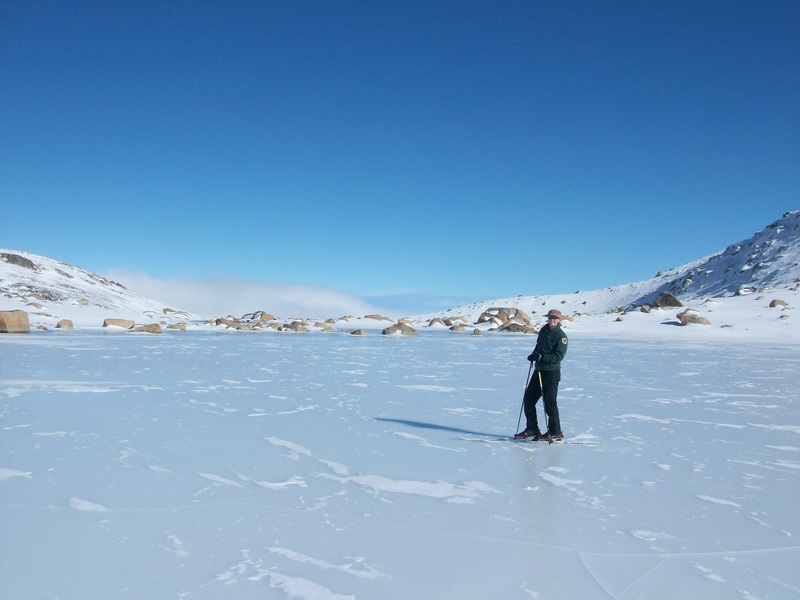 Carrying part of a 20kg ice corer around the glacial lakes in winter to collect water samples was a definite highlight. Also in this position I collaborated with researchers at the Australian National University (Adrienne Nicotra and Gemma Holye) and folks at the Australian National Botanic Gardens (Sarah Fethers and Joe McAuliffe) on germination and soil seed bank studies. After a nine-month stint in Christchurch, New Zealand, (Feb 2011 to Oct 2011) I returned to Melbourne, and worked part-time between 2012-2014 whilst caring for my two sons, as well as cobbling several fractional posts together; coordinating and lecturing the third year subject Ecology of Australian Vegetation (BIO3091) at Monash University, as well as teaching into Climate, Sustainability and Society (ENV1CSS) and Plant Diversity and Ecology (BOT2PDE) at La Trobe University. 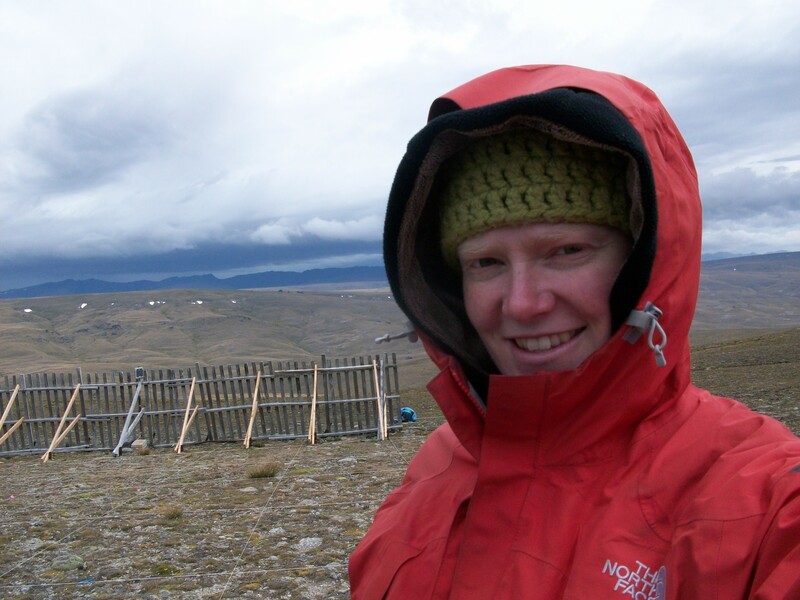 In 2014, I started my research on Shrub, Snow and Climate Feedbacks, funded by the Australian Research Council, Discovery Early Career Research Award, through the Australian National University. I started in the position of Senior Lecturer of Plant Biology at Deakin University in November 2017, and I continue to work on this ARC DECRA project from Deakin. This project aims to understand the mechanisms promoting shrub expansion in alpine areas and the consequences of a shrub-dominated landscape; in terms of shrubs as hydrological mediators and as biodiversity and ecosystem modifiers. Some shrub species trap wind-blown snow, thereby facilitating seedling survival through soil insulation and increases to meltwater. However, if adaptive and plastic responses to climate change allows, shrub expansion will have significant negative impacts on alpine biodiversity and ecosystem function. The project will tease apart the interacting effects of snow, recruitment and adaptation to provide models of shrub increase and determine how shrubs modify alpine ecosystem processes and upper catchment hydrology.